This authentic Maine seaglass was picked on a local beach. 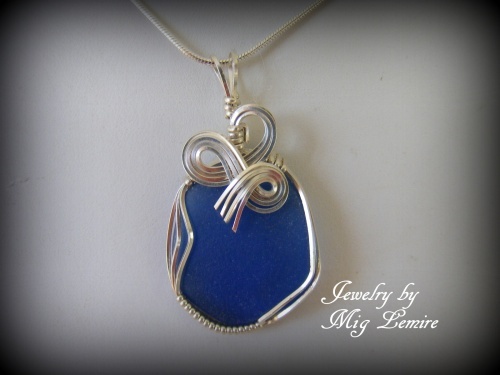 The color is very dramatic and with the sterling silver curls the blue shows up even more. Not as big as most of my pieces , this may be perfect for those who like smaller jewelry. Piece measures 1 1/4" from top of bail to bottom of pendant and 3/4" wide. Comes with a sterling silver snake chain.